Breadcrumbs are a handy staple in the kitchen––perfect for breading fried meats, binding meatballs, adding a fluffy texture to meatloaf, and of course to make holiday stuffing! These low-carb breadcrumbs can replace standard breadcrumbs in any recipe. Place 8 slices of Sola bread on a baking sheet, place into the oven on its lowest heat setting, and bake for a few hours until fully dried out and crispy. A food dehydrator also works wonderfully. 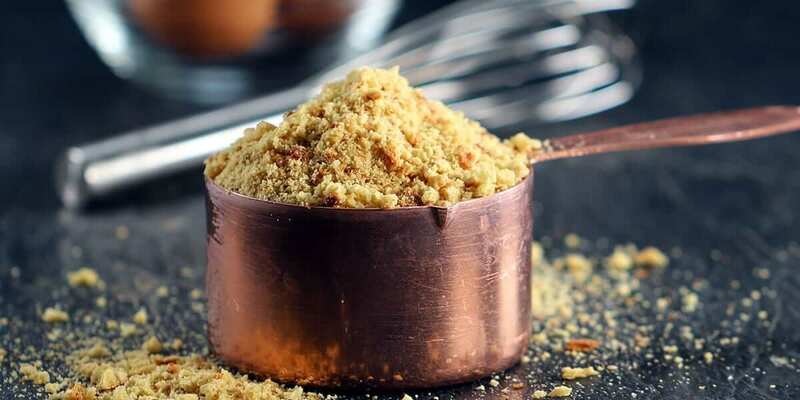 Crumble the dry slices of bread into a food processor and pulse until you have fine breadcrumbs.